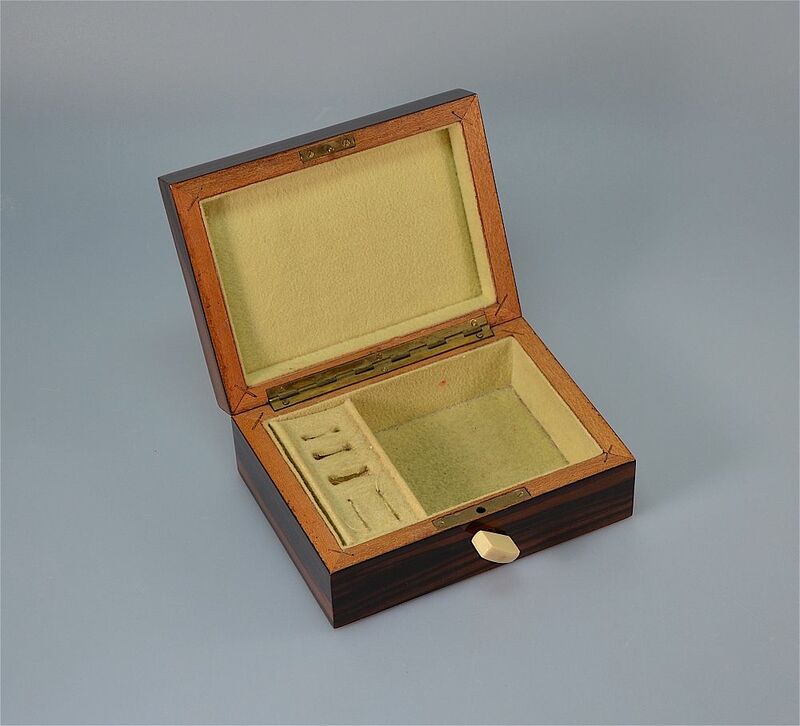 This lovely stylish little box was made during the Art Deco period probably in France. 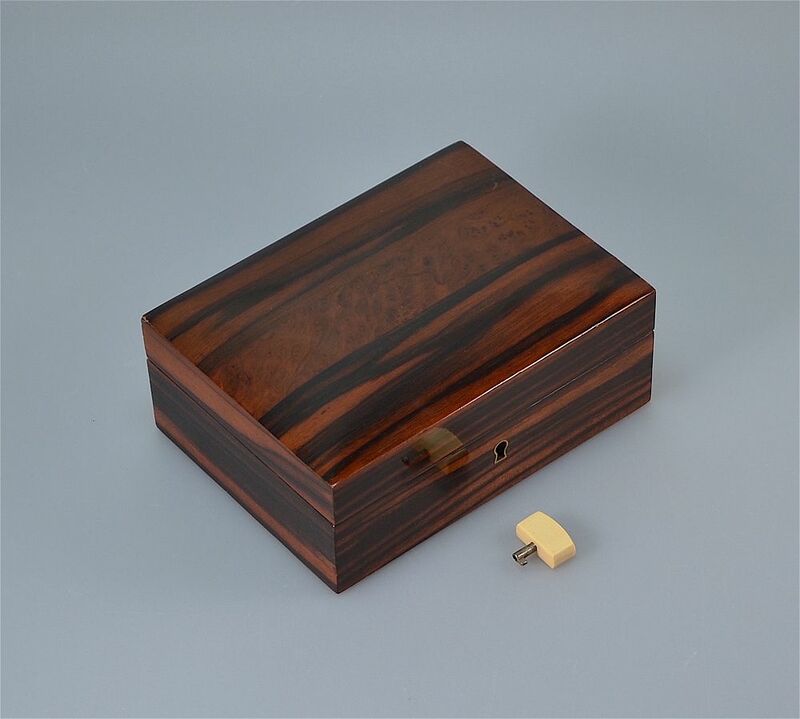 It is veneered in macadsar ebony with a strip of burr walnut veneer running horizontally across the top of the lid. 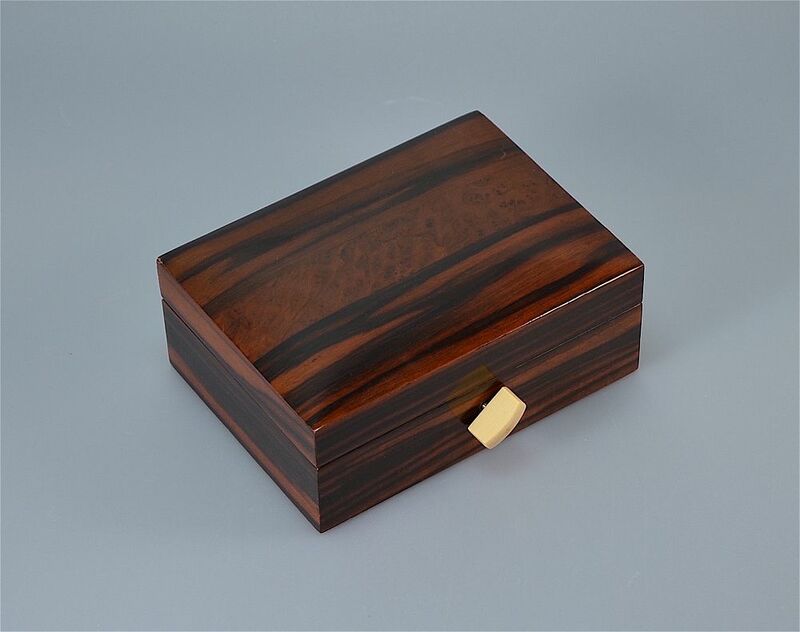 The small key has a bakelite faux ivory domed rectangular top and the box opens to reveal a interior that has been lined with a cream baize type lining. On one side is a removable ring and earring block.